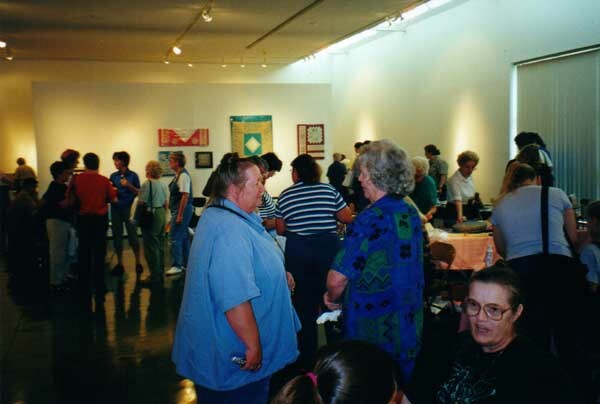 Hosted by a group of lacers from Crockett, Lufkin, and Nacogdoches, Texas, the Lace Day in the Pines was held on June 10, at the Museum of East Texas in downtown Lufkin. Lacers from Texas, Louisiana, and Oklahoma attended (including six of us!) and a good time was had by all. 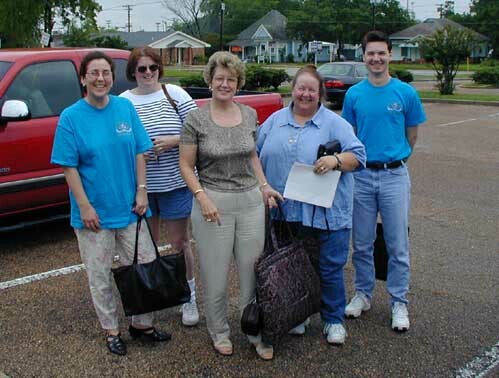 Kudos to Ruth Hickman, Jane Richmond, and the other lacers in East Texas for all of their hard work! Merrily Calhoun's digital camera as they disembark at the Museum. Perhaps the highlight of any lace day is the shopping that can be done! 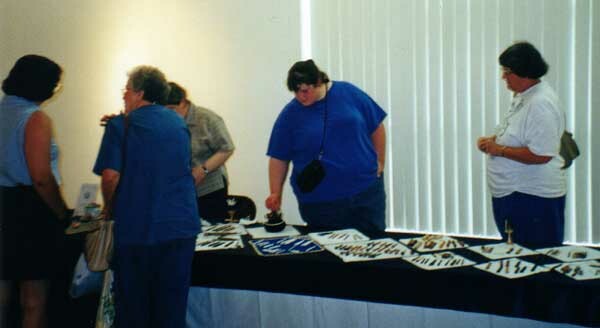 Don Hickman, Fran Bloomer of Knotwork Lace Tools in Round Rock, Texas, and Debbie Beever of Lace and Such in Bartlesville, Oklahoma, were at the Lace Day with spectacular lace tools and other wares for sale. Fran Bloomer's table of hand-turned lace tools and bobbins. 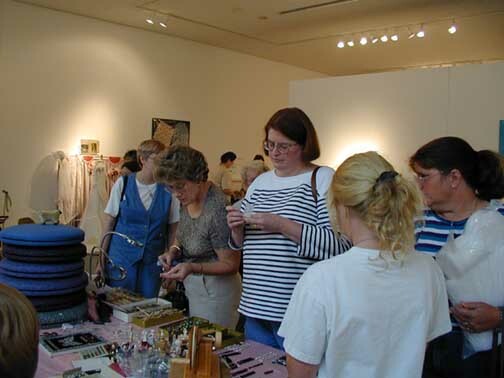 Debbie Beever assists her customers as they ask questions about her merchandise. 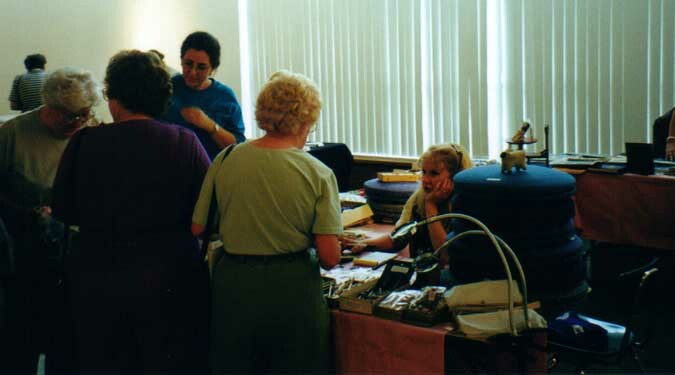 Judy, Jan, and others shop at the Lace and Such table.